Profiles Editor-in-Chief: Sterling Baker, M.D., F.A.A.C.S. paper published on the subject in the world in 1984. Dr. Baker is an authority on surgery to lift eyebrows and the forehead (endoscopic eyebrow lifts). He is also one of the worlds' top experts in laser facial resurfacing. Born in Buffalo, New York, Sterling Baker earned his BA Degree with honors in History from Wesleyan University, Middletown, Connecticut. He then enlisted in the United States Air Force and was stationed in Oklahoma. Honorably discharged with the rank of Captain in 1970, Dr. Baker returned to New York and entered Albany Medical College. After he received his M.D. and a medical internship at Albany Medical Center Hospital, he returned to Oklahoma and completed his residency in ophthalmology at the University of Oklahoma Health Sciences Center in Oklahoma City. He has been in practice in Oklahoma City since 1978. Dr. Sterling Baker gave the Henry Baylis Award Lecture for Innovation in 2011 at the Fall Symposium of the American Society of Ophthalmic Plastic and Reconstructive Surgery. The same year he was awarded the Senior Achievement Award by the American Academy of Ophthalmology. Chief, Refractive Section: John Sheppard, M.D., M.M.Sc. Dr. Sheppard is the president of Virginia Eye Consultants and oversees VEC’s unique mission as a world class academic, clinical, research and teaching center of excellence in ophthalmology. "When patients walk into the doors of the VEC center, they can be assured of receiving outstanding care from physicians who are at the top of their field," says Dr. Sheppard. At the same time, the VEC staff takes pride in offering patients a setting that is comfortable, pleasant and attractive. Currently Dr. Sheppard is investigating new methods of preventing rejection for patients undergoing corneal transplantation. He is a lead investigator for a new cyclosporine implant, and in affiliation with Eastern Virginia Medical School, he is conducting clinical research on ways to treat the corneal tissue prior to implantation. He is also reviewing new therapies for treating uveitis and dry eye. A native of Pittsburgh, Dr. Sheppard received his bachelors, masters and medical degrees from Brown University in Rhode Island on a full Armed Forces Health Professions Scholarship. He served four years with the U.S. Navy as the 6th Fleet Medical Officer and Chief of Family Practice. After his military service, Dr. Sheppard pursued a residency in ophthalmology at the University of Pittsburgh Eye and Ear Institute and then a fellowship at the University of California Francis I. Proctor Research Foundation in San Francisco. He was awarded prestigious Heed-Knapp, Burroughs-Wellcome and NIH National Research Fellowship grants in his study of corneal disease, uveitis, third world blindness and ocular immunology at UC San Francisco. 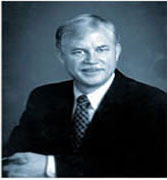 In 1989, Dr. Sheppard joined VEC and was named to the faculty at Eastern Virginia Medical School. He serves as the medical school’s ophthalmology program director and clinical director of the Thomas R. Lee Center of Ocular Pharmacology. In addition, he is a member of the EVMS Development Committee. Dr. Sheppard is actively involved as a principal investigator for numerous clinical trials sponsored by many major pharmaceutical companies and for the U.S. Food and Drug Administration. As an educator, Dr. Sheppard is a sought after international lecturer and author of hundreds of articles for professional journals. Dr. Sheppard serves on the editorial board for EyeNet Magazine and as an editor for eMedicine online. In addition, he is the medical examiner for the American Board of Ophthalmology and the co-founder of EyeRx Research and ProVision Network. Chief, Aesthetic Section: Julie Woodward, M.D. Dr. Julie Woodward is a well established oculofacial plastic surgeon where she is the chief of the service at Duke University Medical Center. She specializes in cosmetic and reconstructive surgery of the eyelids and orbit. She is also a specialist in cosmetic laser surgery of the skin. Dr. Woodward first became a board certified ophthalmologist then went on with a specialized fellowship to become an oculofacial plastic and reconstructive surgeon. She is a fellow of the American Society of Ophthalmic Plastic and Reconstructive Surgery, and the American Academy of Cosmetic Surgery. She delivered a keynote presentation the AACS in 2011 and was the first female oculofacial plastic surgeon to be featured on the cover of Plastic Surgery Practice Magazine. Because she is a well published author on injectable fillers and cosmetic laser surgery, she has been an invited speaker for national and international conferences regarding uses of botulinum toxins, various fillers, and cosmetic lasers. 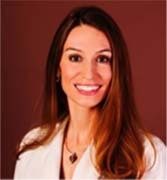 She is the course director for the aesthetic laser surgery courses at both the American Academy of Ophthalmology and the American Society of Ophthalmic Plastic and Reconstructive Surgery. She also has research interests in treatments for Benign Essential Blepharospasm. In addition to this work, Dr. Woodward has been an active teacher on the local level. She also runs the Duke fellowship program to train new oculofacial plastic surgeons. In fact, her skills have been sought by physicians from all over the world who have traveled to do observational training from countries including: Brazil, China, Korea, Egypt, Pakistan, Russia, Thailand, Taiwan and Singapore. In her spare time, Dr. Woodward enjoys time with her husband and 3 children. Her favorite hobbies are acrylic and oil painting as well as snowboarding. She believes that her work as a cosmetic surgeon is just an extension of her love of art.